The Senate Environment Committee convened to consider new and old bills. 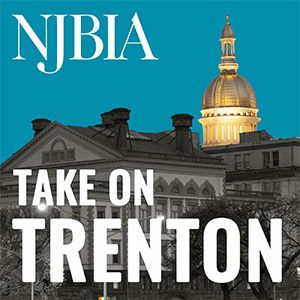 NJBIA opposed three bills on the agenda based on feedback from our members. Electronic Waste—The committee had invited the NJ Department of Environmental Protection (DEP) to discuss the electronic waste bill, but the DEP declined to appear since they are still negotiating with stakeholders. In a letter to the committee, DEP said they hope to conclude talks by the October 13 Senate Environment Committee meeting. Senator Smith indicated that at that time the amendments would be reviewed, and he would encourage his Assembly counterparts to either consider them or pass the bill as is, even if it results in another veto by the Governor. Lead in the Water—NJBIA opposed a diversion of $20 million from the Societal Benefits Charge to fund public building lead remediation. While we are not opposed to cleaning up contamination, other funding sources such as the Environmental Infrastructure Trust provide mechanisms for such cleanups. In a rare political occurrence, environmental groups joined Sara to testify against the bill also stating opposition to the raiding of clean energy funds. The bill was released. Drinking Water Quality Institute—This legislation would empower an advisory council within the DEP to have regulatory powers without the rule-making policy and procedures followed by other agencies. Industry strongly objected to the bill, and Senators openly debated the merits of policy, procedure and process. In the end, Senators did amend the bill to provide for more of a regulatory structure, but the amendment was not available for the public to view. The bill was released from committee with the amendment.